The Environmental Investment Award was conferred to SUNLIGHT Recycling -member of the Olympia Group- during the ECOPOLIS Awards 2015. 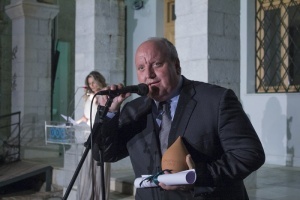 The ECOPOLIS Awards 2015 were held on Friday, June 5th, 2015, on the World Environment Day, at the gardens of the Byzantine and Christian Museum, in the presence of the Deputy Minister of Environment, Mr. Giannis Tsironis. The ECOPOLIS Environmental Awareness Awards were established by the Volunteer Organization ECOCITY, which seeks to contribute to the promotion and acknowledgment of true environmental awareness of public organizations, local government authorities, businesses, scientific and research institutions, and the Media. The event was organized for the 11th consecutive year, with the participation of prominent scientists, representatives from the local government authorities, stakeholders from the local industry sector, as well as numerous friends and members of ECOCITY. SUNLIGHT Recycling operates the most advanced recycling unit in Europe for lead-acid batteries, with a total investment of 31 million Euro. 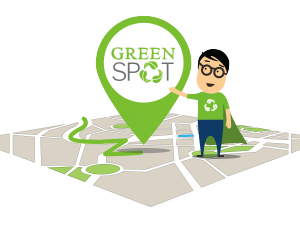 It is the first fully integrated lead-acid batteries recycling unit in Greece, advocating green business development in the best possible way. Zero discharge of wastewater in the environment, with full water recycling within the unit. Zero acid waste, due to conversion of acid solution to high quality industrial salt (sodium sulfate). Zero air pollutants, due to the special system of air pollutants collection that minimizes sulfur dioxide emissions. Minimization (<5%) of hazardous solid waste (slag) generation. Reduce of lead emissions and recovery of minerals, due to the installation of a total dust collection system. Limited generation of solid waste, due to the innovative technology of desulphurization. At the same time, SUNLIGHT Recycling creates multiple benefits both on a local and a national level. 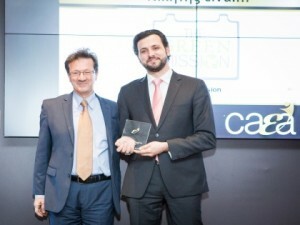 More specifically, having the capacity to recycle 25,000 tons of used lead-acid batteries annually, the company reinforces the country’s competitiveness and substantially reduces the quantities of lead imported in Greece, contributing to the decrease of foreign exchange outflow by 40 million Euro. Με αφορμή τη νέα βράβευση της SUNLIGHT RECYCLING, ο Σπύρος Κόπολας, Γενικός Διευθυντής της SUNLIGHT Recycling δήλωσε : “H διάκρισή μας στο θεσμό των ΟΙΚΟΠΟΛΙΣ 2015 έρχεται να επιβεβαιώσει μία από τις πλέον βασικές αξίες που ορίζουν τη λειτουργία μας και δεν είναι άλλη από το ότι η υγιής επιχειρηματική ανάπτυξη είναι άρρηκτα συνδεδεμένη με την προσφορά οφελών προς την κοινωνία και το περιβάλλον. 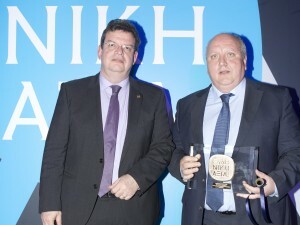 On the occasion of the award, Mr. Spyros Kopolas, General Manager of SUNLIGHT Recycling said: “Our ECOPOLIS 2015 Award attests one of the basic principles that determine our operations. And this is that a solid business growth goes hand in hand with environmental and social awareness. Waste recycling is a key pillar of both the EU and the national policy and legislation, aimed at protecting the environment, saving resources, and making a transition towards a circular economy. Nevertheless, as demonstrated by the recent fire incident in a recycling unit in Aspropyrgos, which caused extensive environmental damage, recycling is not an end in itself. 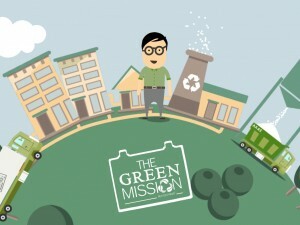 Recycling facilities should operate strictly within the framework set by law, using all indicated pollution abatement technologies and going through systematic and thorough inspections by the competent authorities, in order to –except from properly recycle waste- fully ensure environmental and public health protection. The state-of-the-art recycling unit of SUNLIGHT Recycling, equipped with innovative technologies (such as ENGITEC, in which the European Best Available Techniques are now based) and staffed by highly qualified and trained personnel and higher administration, fully dedicated to excellence and continuous improvement, aims to lead the way towards a modern, efficient, and with respect to the local communities, natural environment and public health Recycling”.